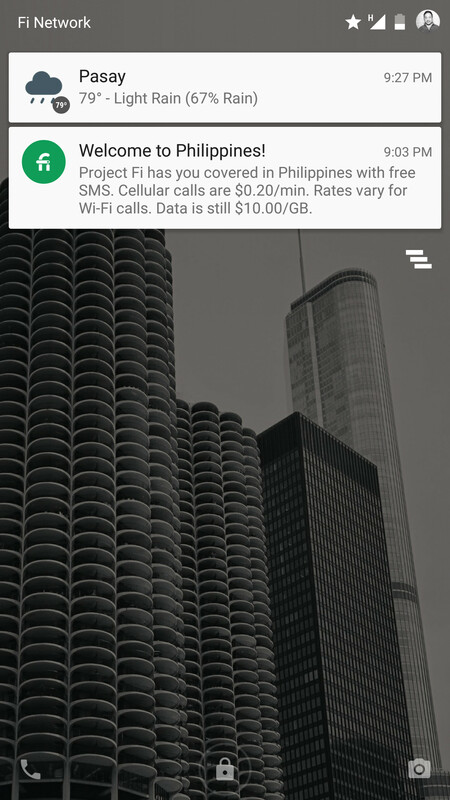 A few months ago I was invited to join Project Fi, Google’s wireless carrier experiment. International Data (certain countries) is included with your plan. There are no extra fees for SMS or data usage. 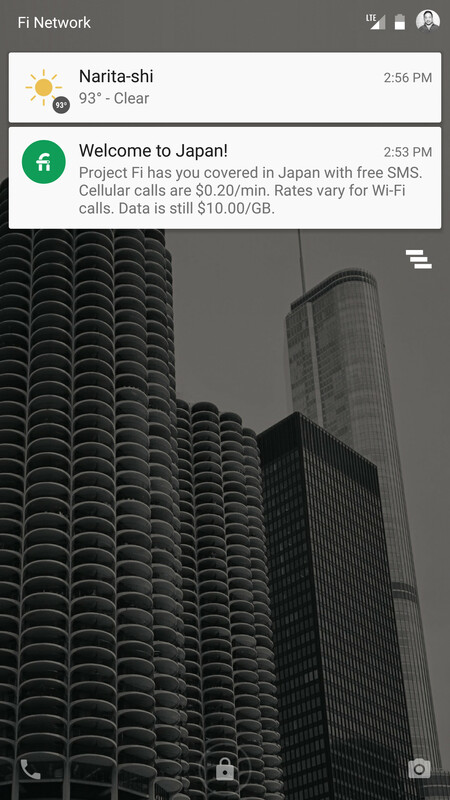 Project Fi reminds you of this benefit with a nice notification once you turn off Airplane Mode after landing. Here’s what I got when I landed at Ninoy Aquino International Airport in the Philippines. The Welcome to [Country]! is a nice way to start off the notification. Here’s what I got when I landed at Narita International Airport in Japan. The folks at Project Fi know I’ll be taking my phone out of Airplane Mode. They know I’m in a different country. A notification is small thing, but context and timing is everything. Back in 2011 and 2013, we shared our phone homescreens with you. We get a kick out of how others personalize their mobile phones. A lot’s changed since then: we have a few more folks on Android, there are 3 varieties of iPhones (6 is the most popular), some of us like having monster phones, and there’s even a Watch among us. Nate Otto and I made a new Basecamp homepage illustration based on a vector drawing I made in Adobe Illustrator. Initially I didn’t intend it to be hand drawn. I thought I’d refine the vector drawing. Somewhere in the middle it turned into “herding cats”. In the end the spirit of the concept was intact, but the result very different from what I’d envisioned. Here’s how we got to the final idea: Basecamp helps you wrangle people with different roles, responsibilities, and objectives toward a common goal: Finishing a project together. First pass: Basecamp is a central hub. All the things going into it are like train lines. Train lines are pretty boring. What if it was about herding cats? Lemme put some vector cat heads on there. Jason Fried is concerned that “herding cats” may come across as insulting. The idea of herding cats may be lost on some potential customers. Maybe we should just be clear. Final: Let’s add all the people involved in the process. This process took about one day of back and forth (in Basecamp) between me and Nate. So, that’s how we made the illustration for the idea: Basecamp helps you wrangle people with different roles, responsibilities, and objectives toward a common goal: Finishing a project together. 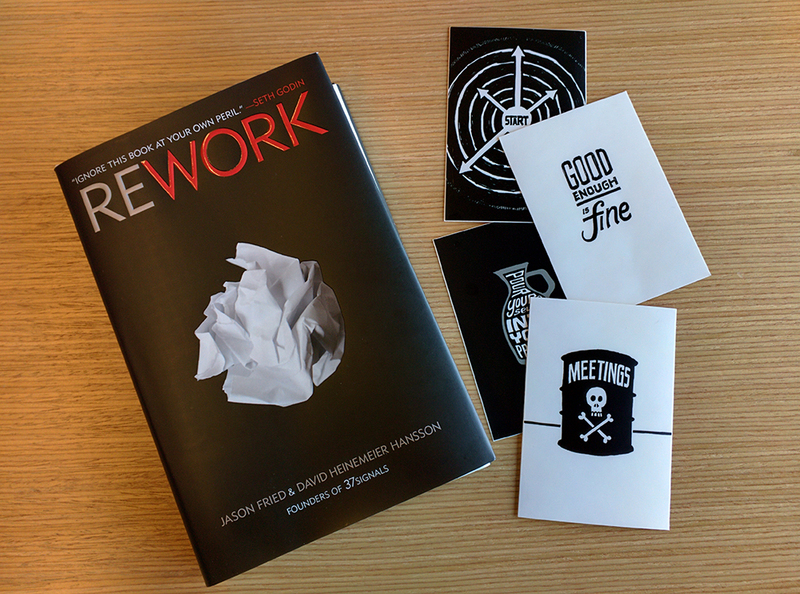 In 2010, Jason Fried and David Heinemeier Hansson wrote a business book called REWORK. Since then REWORK has become a New York Times, Wall Street Journal, and Amazon.com bestseller. It goes against what every other business book is about. On top of that, it’s a quick read and it has pictures! 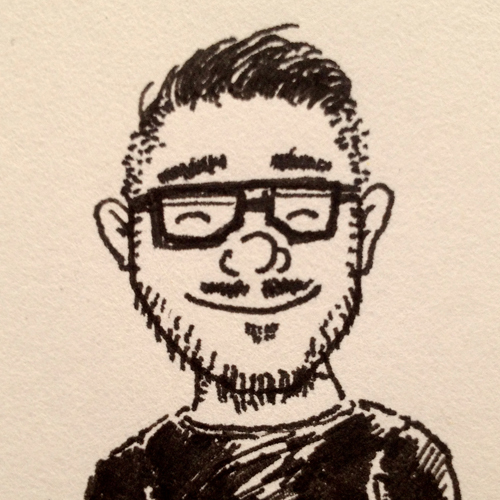 Those pictures were illustrated beautifully by Mike Rohde. We keep hearing from fans: “I love the art! Can I buy it?” So we partnered with the folks at StickerMule to offer some of the art as stickers. We’re offering this initial batch of REWORK art to start. In the coming weeks I’ll be adding more. Follow us on Twitter for updates. We want everyone who wants a REWORK sticker (or 20 of them) to get one, so we tried to set the price as low as possible. Each sticker is $3.14 or $2.79 depending on which ones you choose. 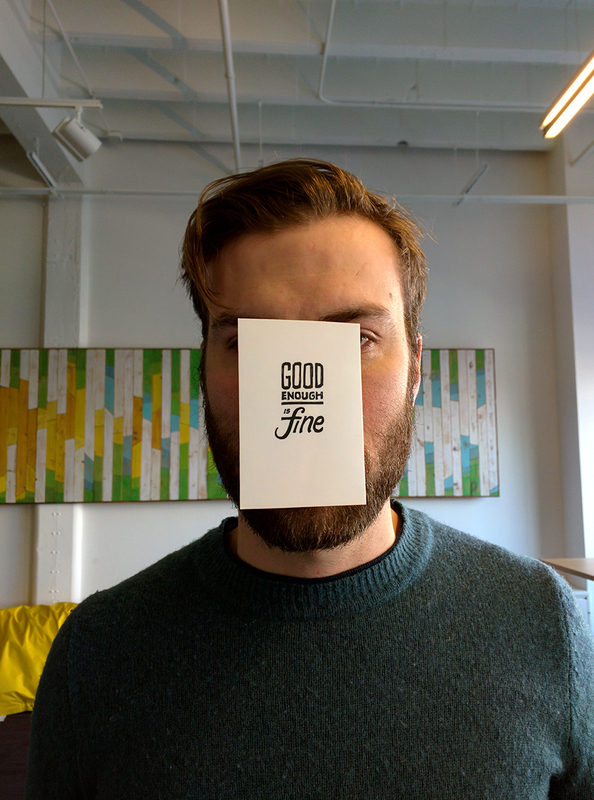 The price completely covers StickerMule’s production and shipping costs. We’re not making anything off of these stickers. 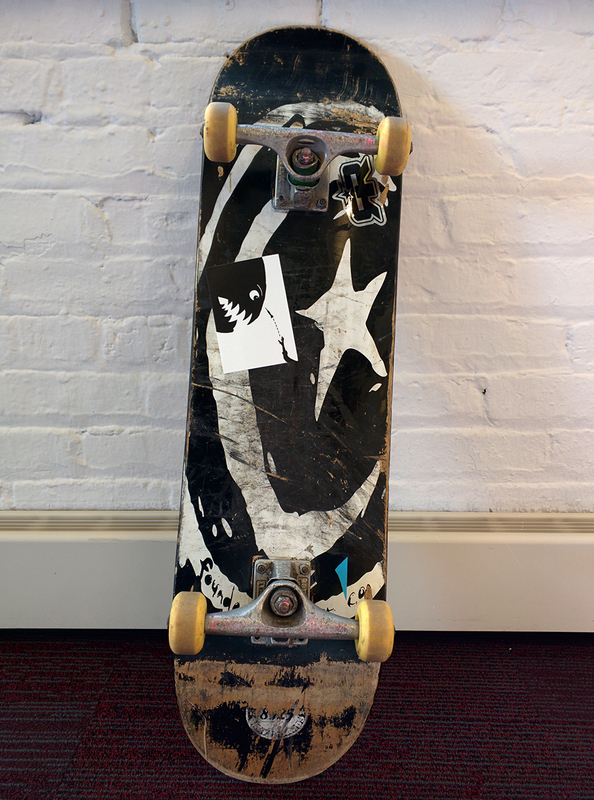 We’re glad to finally get Mike Rohde’s REWORK art into your hands. Stick all the things! 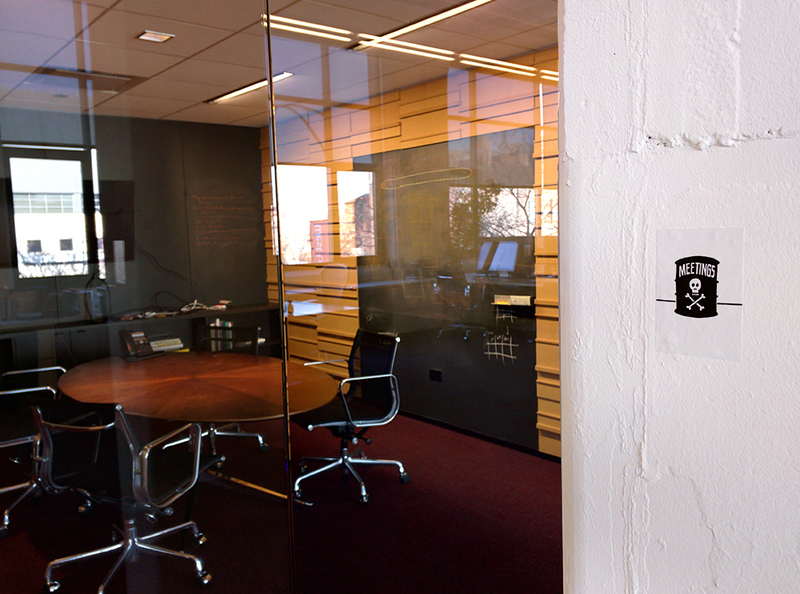 Thanks again to Mike Rohde and Anthony at StickerMule. 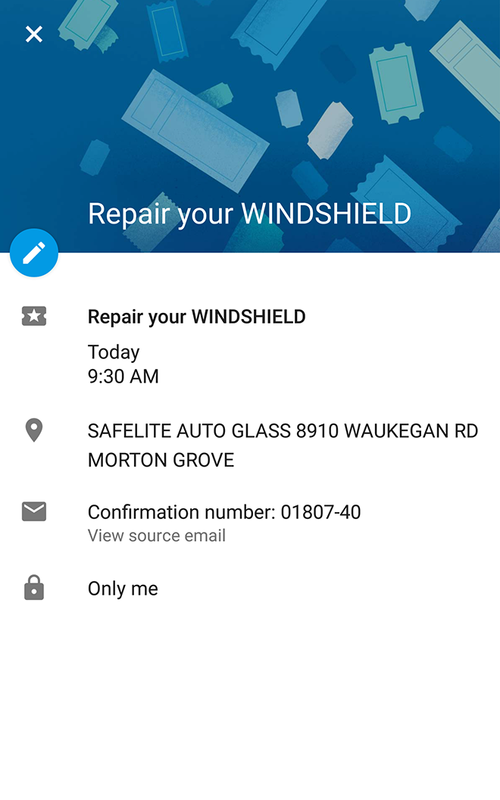 At 8:15 AM I called Safelite Auto Glass for a quote to fix a chip in my car’s windshield. I wasn’t expecting to get the work done today, but the customer service rep gave me a great deal. We scheduled the appointment for 9:30 AM. Then he asked if he could send me an email confirmation. Normally I don’t give out my email address because I don’t want to get on another mailing list. However, in my past experience there’s been miscommunication between the corporate call center and the place of service. 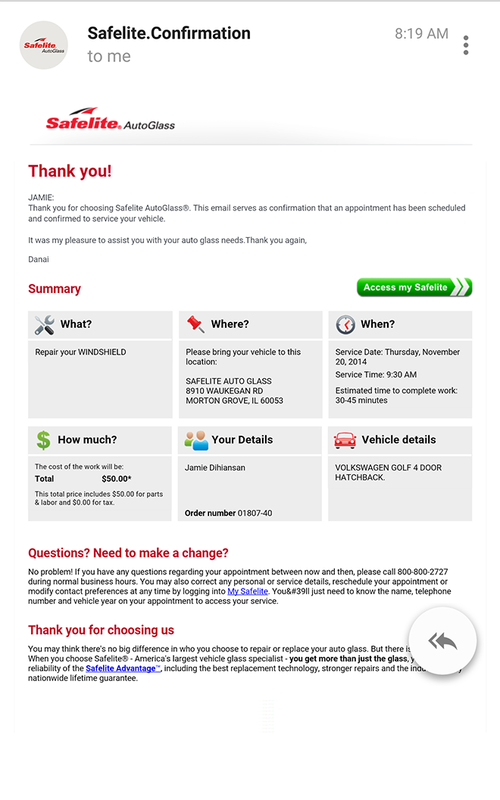 In truth, the $50 Safelite quote was way below the $140 dealer quote I got the day before. An email confirmation of the quote would clear up any issues should they arise. So I obliged. 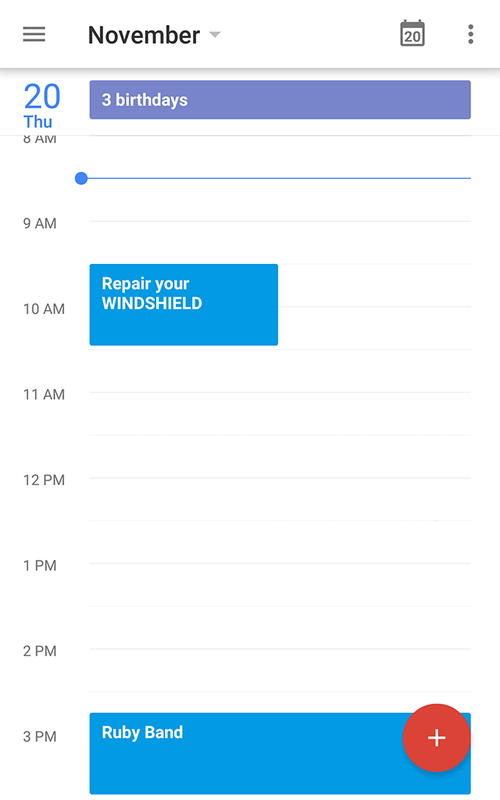 What I usually do next is put the appointment in my calendar. It’s a habit I tried very hard to make over the years. No matter how soon the appointment is put it in the calendar to remember to do it! A funny thing happened when I opened my calendar. There was an event there that said Repair your WINDSHIELD already. It had the proper time and everything. Took me a minute to realize what had happened. The email confirmation was sent to my personal email. I use Google’s Gmail. Turns out Google made a calendar event based on the information in that email. I use Google Calendar too. Gmail + Calendar + Google stuff was able to parse the proper event name, the time, and the location. Then at 8:50 AM, my phone buzzed. A notification told me to leave by 9:07 AM because there is heavy traffic on the way there. I even got driving directions. By the way, there’s always heavy traffic in Chicago. By 10:30 AM I left the Safelite shop with a repaired windshield. A quick lesson on branding—via @gewqk. Google made one of Android's jokes into something clever. Face Unlock is one of those features that surprises you. “Wow, this is pretty cool.” But after the novelty wears off some things become apparent: it doesn’t work very well, it isn’t very secure (it can be fooled), and you look kinda silly trying to unlock your phone with your face. It reminded me of how Google creates these sci-fi things but doesn’t implement them very well. Often times features like these get buried or forgotten (is Google Goggles a thing still?). What was that? Is he talking about Face Unlock? Is it different in Android Lollipop (the newest/next version of Android)? I have a Nexus 5 with the latest Developer Preview, so I looked for some clues for this feature that Dieter Bohn mentioned. 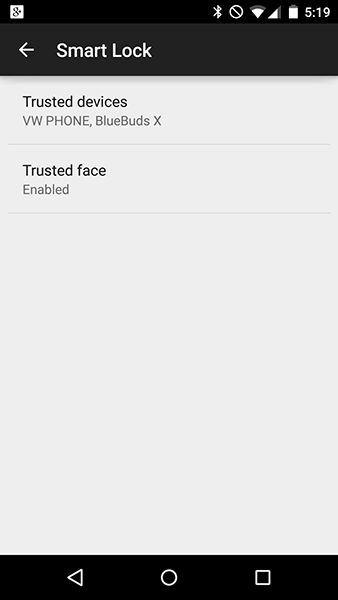 Sure enough, there it was in the Security Settings: Trusted Face. Alongside trusted Bluetooth devices, you can set your face to automatically unlock your phone. OK, so how’s this different than the Face Unlock of old? Android Lollipop doesn’t make you choose to lock your phone by PIN, Password, or Face. 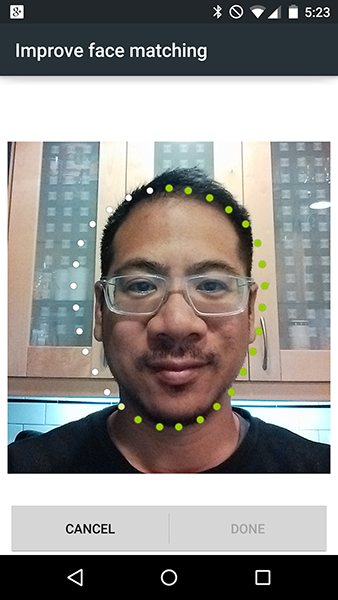 The Trusted Face feature is a layer of convenience. You can still unlock your device using a PIN, Password, or Pattern. If the device scans your face, it’s unlocked. You might be saying, “I don’t get it. It sounds the same.” Here’s the thing. 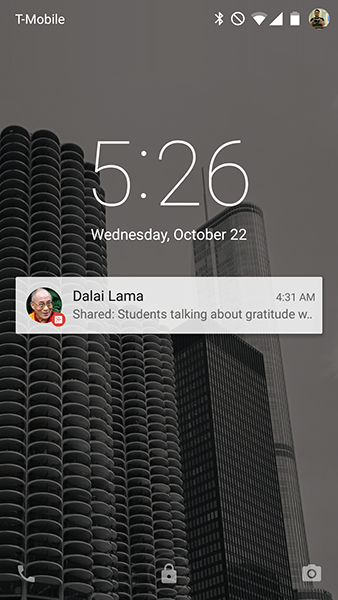 Android Lollipop now shows your notifications on the lockscreen. The key difference is: you’re looking at the lockscreen to scan your notifications now. It’s during this time that Android scans your face! Now your phone’s conveniently unlocked for you without you having to think about it. This seems like such a minor thing, but it shows the care and attention Google has been paying to Android’s design recently. They took this technology (face recognition), and finally applied it in a useful way. It’s a subtle thing, but the difference between “staring at your phone to unlock it” and “reading a notification unlocks it” is a huge difference. This morning I needed an app, but I had no idea where to start. I knew what the app should do, but did it exist? Here’s my story. We received this in the mail this morning. 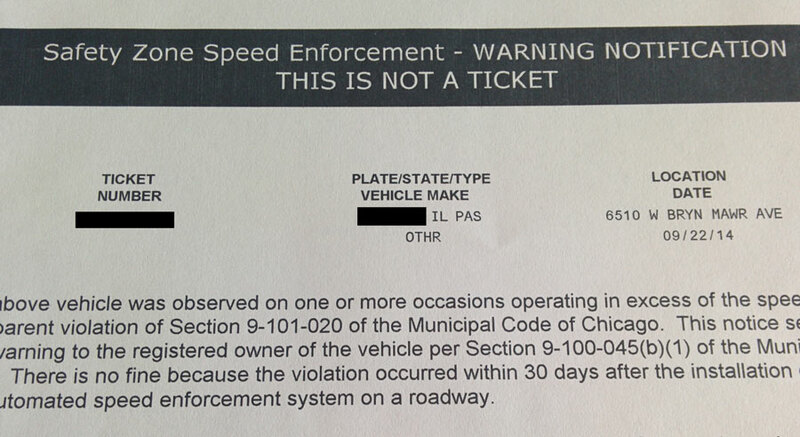 It’s a ticket warning issued by the City of Chicago. There must be some type of app that warns you of these speed zones. 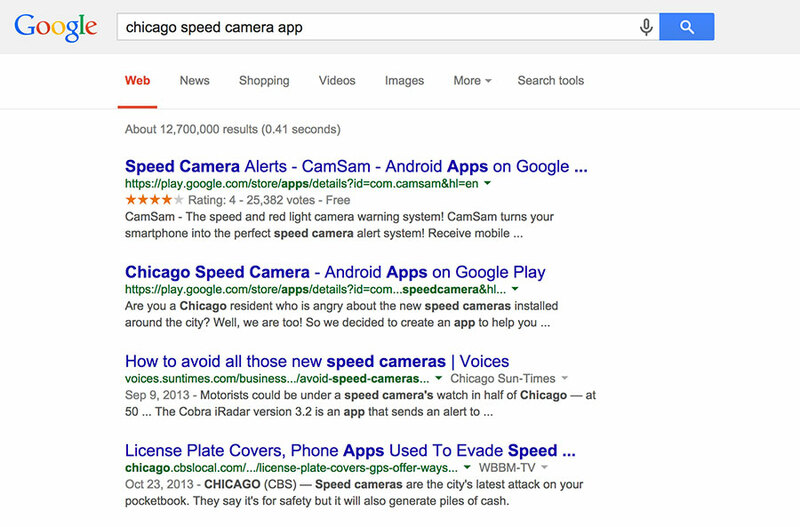 Interestingly, the first two results are apps for Android. Not sure if Google knows that I use Android. Well, of course they do. Anyway, awesome! Here are two apps that I can check out right away. 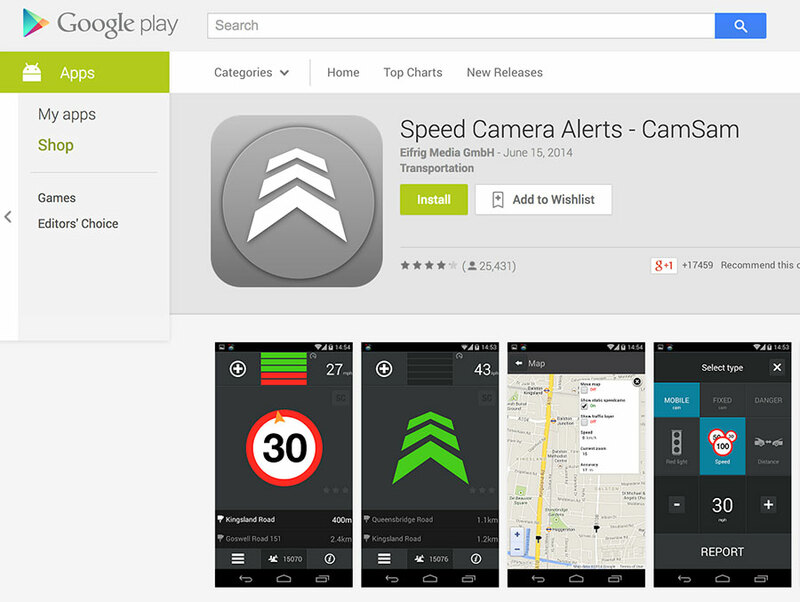 The first app, Speed Camera Alerts gets great reviews. No brainer right? 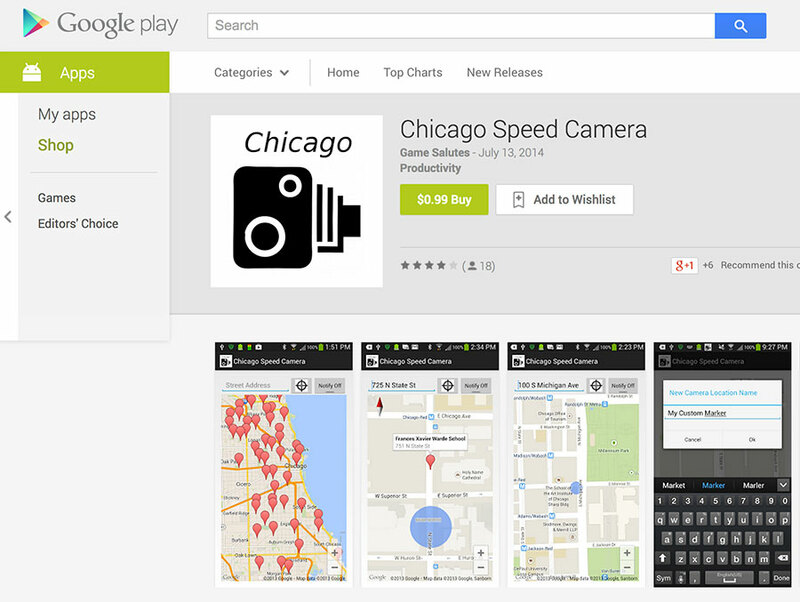 The second app is called Chicago Speed Camera. You can’t name an app any more obvious than that. Again no brainer right? Except it only had 18 reviews. The first two reviews weren’t great. And there was a huge all caps disclaimer on the app description. So I went back to the Google results to look at the 3rd link. No one does that! (Except for me.) It’s an article called How to avoid all those new speed cameras. The app update comes just as Cobra Electronics faces tough competition, including from popular apps such as Trapster and Waze. Trapster has 16 million users; Waze has 50 million; and Cobra’s laser radar-detector version has 1 million. Waze is a competitor for this app? I have some experience with Waze because Google sends me Waze alerts if there’s an accident on the highway. 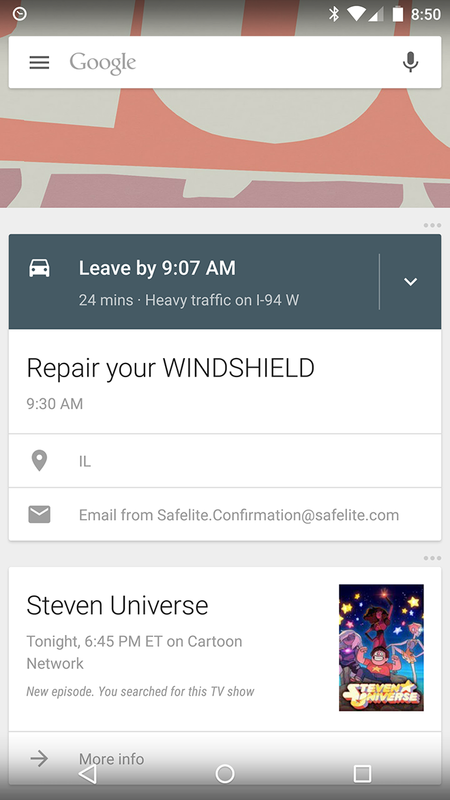 I’m not a Waze user, and I really don’t have any experience with Waze other than those notifications Google sends me. He’s an iPhone person. So I ask my other friend who has Android. I thought I saw Waze on his screen too (yes, I know creepy). How’s the Android app? I asked them both about speed cameras and how Waze works in alerting you. Waze seemed like the app I was looking for, but there was one small problem. For Waze to work, you have to open the app before you drive. Then when you’re done driving, you have to stop the app. I asked my Android friend about turning it on automatically by listening to Bluetooth. He replied, “yeah. or, you can just get into your car and turn on waze :/” I don’t want to remember to do that though. Well, actually I know myself too well. I’ll definitely forget to do that. Surely there must be some way to automate this? When I get into the car, my phone automatically connects to the stereo via Bluetooth. I figured there must be a way to launch Waze by listening to the Bluetooth connection. I’ve heard a lot about IFTTT. Unfortunately it doesn’t seem capable of listening to Bluetooth connections. I’ve also heard a lot about Tasker. Tasker is one of those apps Android users will tell you makes Android awesome. I’m sure it’s awesome, but I just want to do one simple thing: Listen for Bluetooth and launch an app. One of the nerdier things I do (I do a lot of nerdy things, but this is up there) is listen to the All About Android podcast. Every show they have a segment where they review apps. One of the hosts mentioned an app called Trigger that was positioned as a simple version of “Tasker”. I checked out Trigger’s product page, but it wasn’t clear if it did exactly what I needed. Luckily, I found a review on YouTube. After that initial path of Googling for an answer, I have a setup that works: I get into the car, the phone pairs with car’s Bluetooth, and Trigger launches the Waze app. Now I get alerts like, “Speed Camera Ahead” while I’m driving. OK so what’s the point? I wanted to share this with you because often times when we’re marketing something we’re looking for a Silver Bullet. One awesome spot or placement that will get people to use your product. Look at my experience. I had a need—find a speed camera app. Searching on Google gave me 2 clear app results, but I didn’t end up downloading those. The Google result did get me an article about another app, but I ended up asking friends on IM about one of the competing apps because it was mentioned in the article. Their personal recommendation got me to download the app and set up an account. I wanted to improve my experience with the app by automating it based on my car’s Bluetooth connection. I remember hearing about that app on a podcast. Then I watched a review about the app on YouTube. Now I have the perfect solution from all these disparate unrelated sources. That’s pretty fascinating. If I was to pick the most powerful point in my decision-making process it would be the recommendations of Waze by my friends. It would take a huge leap of faith to install the app and create an account for something I wasn’t sure would work. It was ultimately because of their recommendations that I chose Waze. 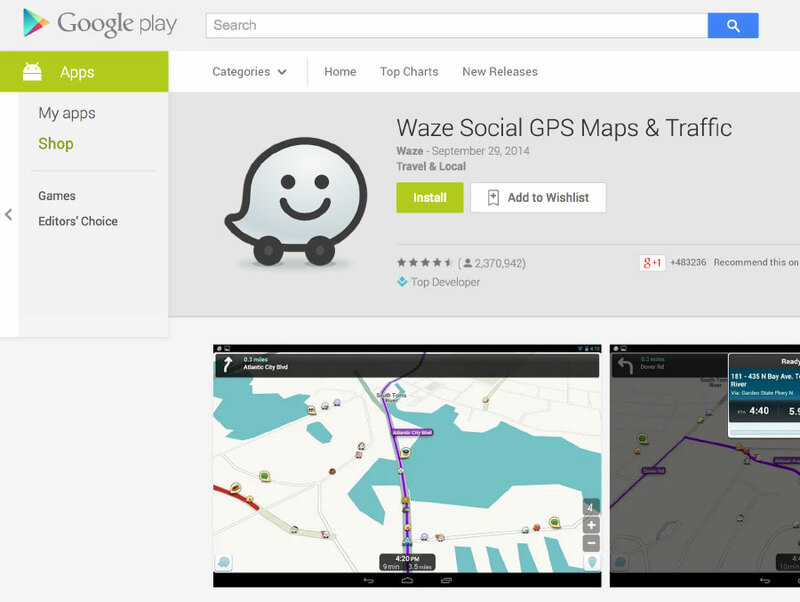 But I wouldn’t have known that Waze could do what I wanted if it wasn’t for Google either. I started out by saying the ticket warning was issued to my wife. The problem is, she has an iPhone. Waze will still work for her, but now I have to look into automating Bluetooth, etc on iOS now… Any recommendations? Our friends (and Basecamp customers) at Pitchfork Media are bringing the Pitchfork Music Festival back to Union Park in Chicago this July 18–20. They use Basecamp to plan and organize the entire event, and we’re giving away two pairs of 3-day passes to the festival to celebrate! When is the contest over? We’ll be watching the #basecampmusic hashtag on Twitter between today (Monday 7/7/2014) and tomorrow (Tuesday 7/8/2014) at 11:59pm CDT. Anything else? Basecamp is going to have a special presence at the festival this year. Please visit us near the Blue Stage! We’re excited to see your clever #basecampmusic tweets. Good luck!